Not sure. I'm going to order one this week though and can measure it then. Yeah, but you buy a lot of tin foil at Costco or BJs for 20 bucks. Wrapping the bowl on the 18 takes a lot of tin foil too. And I haven't seen any foil wrap that would completely cover my Brinkmann charcoal (water) pan width-wise, unless there is a wider commercial product available. It will be here Friday, I'll let you know. 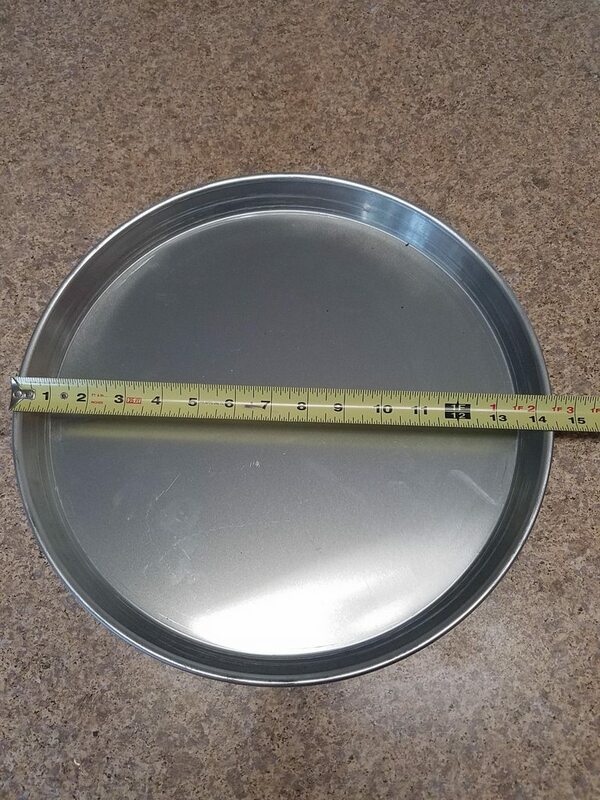 I measured the top of the pan last night, 11 & 3/16” across. Mine (14.5" WSM bowl) has a big lip on it. Here you go Rusty, 14.5 inches across. It fits perfectly in the 18.5 bowl. I can't wait to give this a try on Sunday. Not sure if this will fit my Brinkmann pan, so I'll have to measure the ID.